When I told friends and family that I was going to Bratislava in Slovakia, I was often met with confused looks. However, visiting the city fitted in well with my interrailing plans back in the summer, so I figured why not? And I'm so glad I did! It was a city I knew very little about, and I only had a few ideas of what I wanted to do there once I'd arrived. However, all of this added to making Bratislava one of the highlights of my three week trip around Central & Eastern Europe. 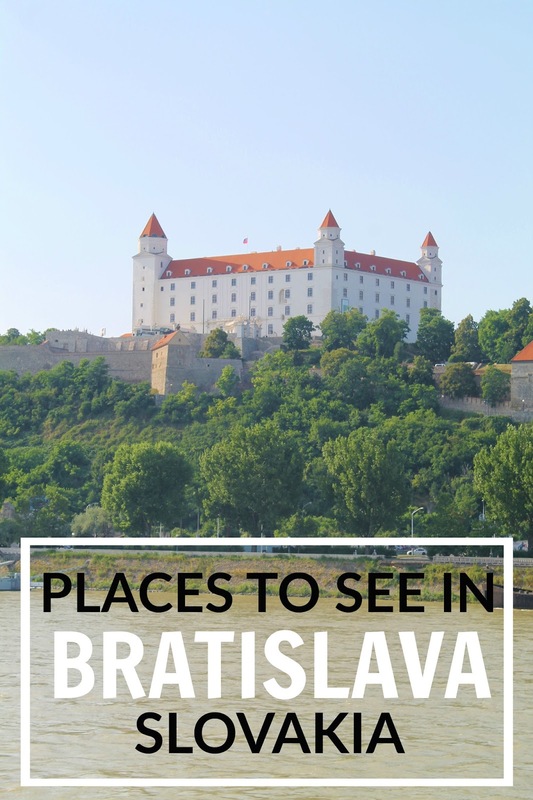 Only an hour's train journey from Vienna, or a three hour train journey from Budapest, Bratislava is easily accessible and a beautiful place to explore for a day or two. Situated right next to the Danube River, it has a quaint Old Town, and the impressive Bratislava Castle overlooking the city. With it's white walls, 4 corner towers and striking red roof, Bratislava Castle is arguably the main landmark of Slovakia. It's located up on a hill right next to the Danube River and towers above the Old Town. Although it's not the most detailed or romantic European Castle to visit, it's still impressive to see. You can visit the grounds for free, or for the best view of the castle head to the UFO bridge, or take a river cruise. For the best panoramic view of the city, head to the UFO Bridge (also known as Most SNP). At the far end of the bridge there's a sightseeing tower with an outdoor observation deck. There's also a restaurant inside the dome. It costs roughly 7 Euro to visit the viewing platform. 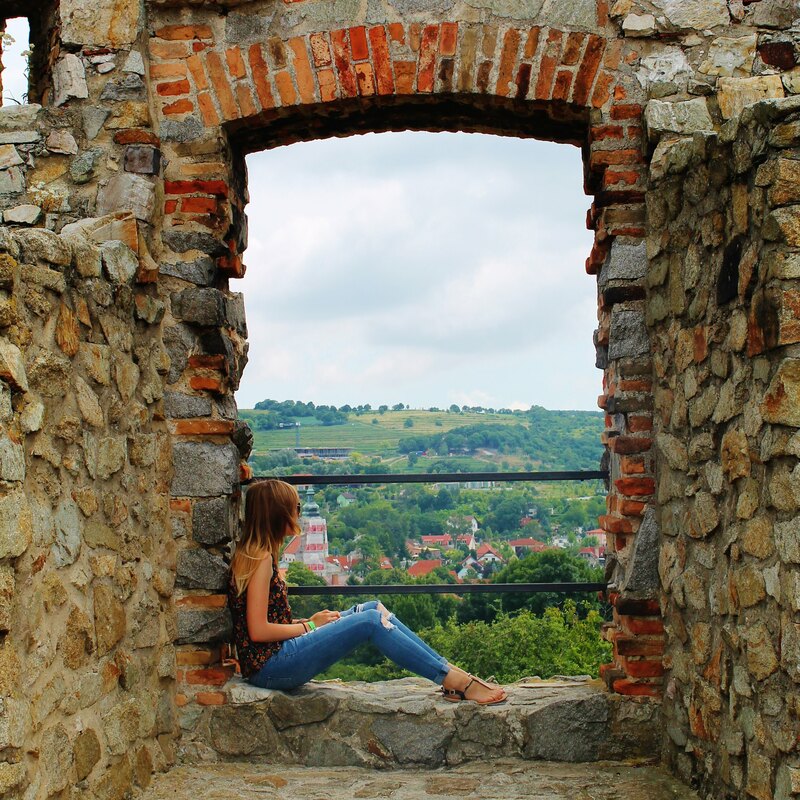 For a half-day excursion head to the ruins of Devin Castle, which is approximately 10km outside of the city centre. To get here you can either take a bus, or go on a river cruise. I picked the river cruise option as it's a lovely way to see more of the Danube river. Spend some time wandering the streets of the Old Town. Check out St. Martin's Cathedral and the surrounding buildings with the quirky artwork painted on the sides, and then head to the Main Square (Hlavne Namestie) to see the Roland Fountain and the City Hall. Don't miss Michael's Gate, which is possibly the most well-known landmark of the Old Town, and then take a walk to The Church of St. Elizabeth. This church is commonly known as the Blue Church, and is one of the most whimsical, Disney-esque churches you will ever see. 20 Incredible Places To See In Prague!